The Entertainment Merchants Association (EMA) released its annual 2008 report on trends in the video games, TV and home entertainment sectors, revealing the PS3 as critical to Blu-ray's success over HD DVD. According to the report, which states some pretty blindingly obvious things especially when relating to the gaming/home entertainment divide, the PS3 may have been the deciding factor in Blu-ray winning the hi-def wars. It also pointed out Microsoft had sold 316,000 HD DVD add-ons for the Xbox 360, which are now working nicely as paperweights in gaming dens the world over. 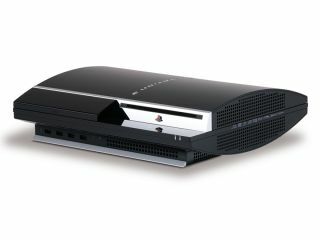 The PS3 is set to be the driving force behind Blu-ray penetration until at least 2009, when it is expected standalone players will drop in price to the point where they outpace the gaming machine. According to the report, 87 per cent of PS3 owners love a little bit of Blu-ray action on their machine; it also highlights the obvious fact that Microsoft's decision to leave HD DVD capabilities out of the Xbox 360 probably scuppered the format. It's believed 100-130 million homes will own at least one Blu-ray player by 2010, which may sound far-fetched now, but think about how many DVD players you have including computers…we counted 52 between us.